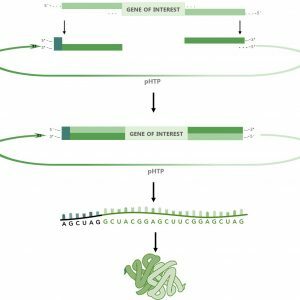 The NZYEasy Cloning & Expression System was designed to allow directional cloning of PCR-generated fragments or synthetic genes cloned in pUC-vectors into a linearized pHTP vector in a single reaction mediated by the NZYEasy enzyme mix. The system allows achieving high cloning efficiencies (80-100%) and does not require the use of DNA ligases. In addition, no further treatment (e.g. 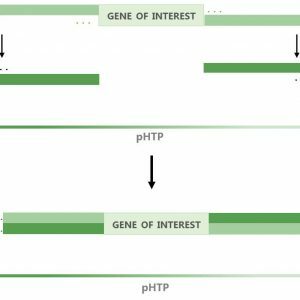 restriction digestion, phosphorylation or blunt-end polishing) of the inserts is required. NZYTech provides ready-to-use pHTP vectors in separate kits. The NZYEasy Cloning kit (cat. No. MB281) includes the pHTP0 vector (pUC-derivative) for standard cloning reactions, while NZYEasy Cloning & Expression kits include expression vectors that use the T7/lac promoter for regulated high-level protein expression in E. coli strains containing the λDE3 lysogen, such as BL21(DE3). 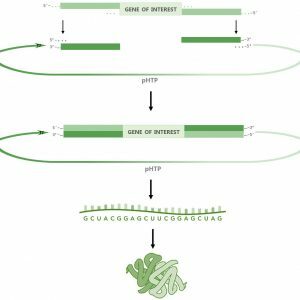 PCR-generated fragments can be cloned into the pHTP0 cloning vector or, alternatively, into one of the various kanamycin-resistant pHTP expression vectors without the need to go through the tedious and laborious intermediate stages. 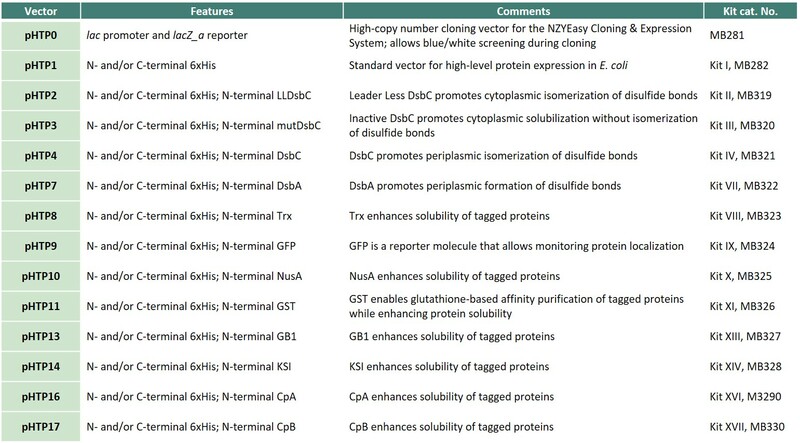 The portfolio of pHTP prokaryotic expression vectors, which includes a different range of fusion tags, offers the possibility to quickly assay levels of expression and solubility of the desired protein in multiple expression vectors simultaneously.